Our August medical mission was further augmented by the wholesale nike nfl jerseys from china presence of volunteers from allied specialties including pharmacists, nutritionists and emergency medical technicians. As in previous years, our professional clinicians were supported by a team of enthusiastic pre-medical, nursing and pharmacy students for whom our mission constituted an invaluable opportunity for both professional and cultural enrichment. *Dr. Collie Oudkerk is a practicing physician and President of the Health and Education Relief (HERO). Thanks to the extraordinary dedication, generosity and support of our members and patrons, volunteers, sponsors and well-wishers, HERO celebrated its 15th anniversary in 2015 with yet another cheap nfl jerseys year of outstanding service to communities of need across the Caribbean. As in previous years, we conducted two separate missions – in the spring and summer. 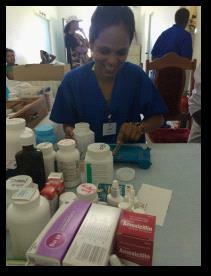 Both missions were conducted in Guyana and served a combined total of some 1800 patients. Staffed by a cadre of 30 volunteer physicians and surgeons, nurse practitioners and other allied professionals and students, our spring mission was conducted from March 7th – 15th in the Wismar, Christianburg, Amelia’s Ward and Silver Hill communities of Linden, and in the villages of Lusignan, Ann’s Grove, and Bachelor’s Adventure on the East Coast of Demerara. 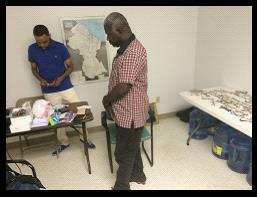 Additional activities were conducted in the suburban community of Sophia and in the capital, Georgetown. Our summer mission, held from August 1st to 8th, was staffed by a total of 39 healthcare professionals and students, including many returning veterans. In addition to follow-up visits in communities previously served by our March mission, outreach clinics were also conducted in the villages of Enmore, Beterverwagting, and Victoria. Orthopedic and gynecological surgeries were performed at the main municipal hospitals in Georgetown and New Amsterdam, Berbice. 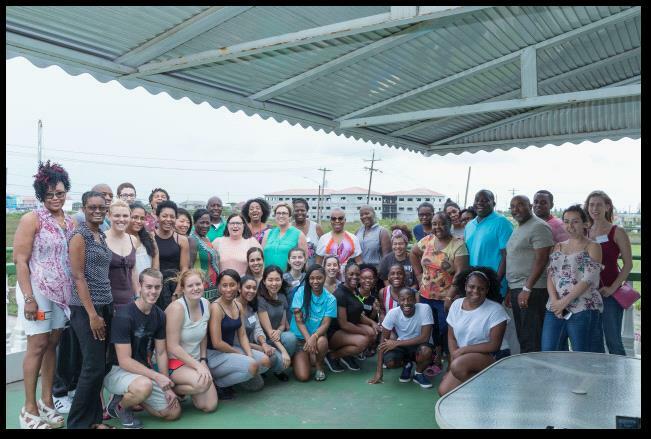 (For a complete list of healthcare professionals and other volunteer participants in our spring and summer missions to Guyana, please click here). In addition to our medical outreach clinics, we were also pleased to initiate this year an imminent expansion of our Literacy Program – from a six-week summer project to a year-round tutoring partnership with local educators preparing elementary students for standardized tests. This expansion is being implemented in response to popular demand, following our previous successes in helping struggling students improve their grade-level performance in key subject areas. 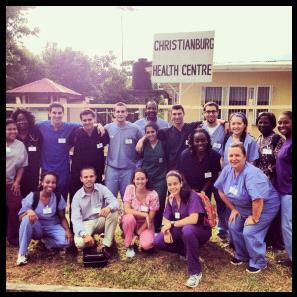 (For a complete list of participating volunteers in our education program, please click here). 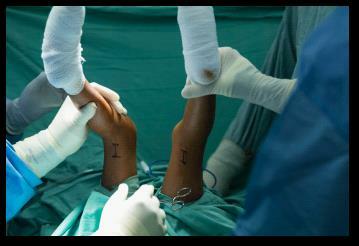 Our surgery program also made significant strides in 2015: thanks to our orthopedic pediatric specialists, ever increasing numbers of young children are now able to take their first steps as a result of corrective surgery to their lower extremities. In this regard, we were especially pleased to welcome back to our ranks Dr. Claude Scott, who spearheaded our orthopedic mission this year and successfully performed corrective surgeries on more than a dozen children. We were similarly pleased to welcome back our returning gynecologist Dr. Keisha Benn, who partnered most recently with Dr. Christina Flores to perform multiple life-changing surgeries at the Berbice Hospital. We look forward in 2016 to further expanding our mission portfolio with the addition of oral, maxillary, spinal and breast reconstruction surgeries. HERO also officially launched our Vision Program in 2015. 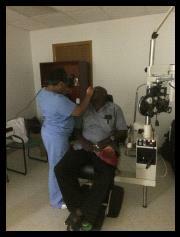 Special thanks are due in this effort to our Optometrist, Dr. Tanesha Bazemore, and our Optician, Mr. Jon Mitchell. In our inaugural year of the program, we were able to distribute corrective lenses and eyeglasses free of charge to some 276 patients. For many who had long struggled with limited vision, this new program has opened their eyes to a new world, and additional services are planned in the year ahead. We are deeply grateful to our supporters and volunteers for making our 15th anniversary another banner year. In one-and-a-half decades of continuous humanitarian service, HERO has come of age. We look forward to many more decades of successful contribution to the upliftment and wellbeing of peoples everywhere.